Veterinary Requirements are Pivotal to the Successful International Movement of Horses. Our team at Peden Bloodstock are highly experienced and knowledgeable in all veterinary matters relating to movement of your horse. We will take care of all requirements on your behalf. This resource section gathers much of the relevant information into one database for your convenience. Please note that this is intended to be guidance only and you should not base preparation of your horse for travel on the detail contained in this section. Peden Bloodstock will always ensure that the most up to date informations is provided to our clients. We will personally liaise with yourself and your veterinarian regarding the specific shipping requirements. If you or your veterinarian requires clarification on any detail of the health requirements related to movement of your horse please do not hesitate to contact us at Peden Bloodstock. Peden Bloodstock will always ensure that the most up to date health protocol is determined and confirmed by the receiving country prior to preparing your horse for travel. We will personally liaise with yourself and your veterinarian regarding the specific shipping requirements. This section contains some useful information on sample handling and submission as well as contact details for some of the laboratories most commonly used by our clients. The latest vaccination requirements can be found in this section. 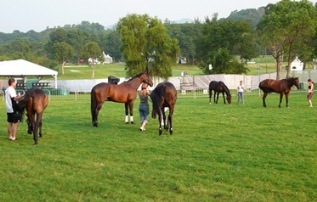 This section outlines equine passport requirements. Please find details of EU BIPS. Peden Bloodstock will provide up to date veterinary guidance to clients during the course of arranging shipments.